New Pistol Shooting Course Jan 22nd. Calling all East Coast Shooting Club Pistol shooters!! A pistol shooting coaching master class will be led by Frank B. in the club on Sunday 22 January 2017, commencing at 11am. Instruction including hints and tips gathered over the years will be imparted covering all the basics of the shooting discipline and embodying all of Franks’ considerable experience. Frank won the overall Pistol Shooter of the year competition in 2016 so his results prove he has the ability! All members are cordially invited along to partake of this valuable and rare opportunity. I would be helpful to give us some idea of numbers if you could use the contact section of this web site to let us know you want to attend. 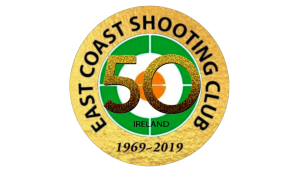 http://eastcoastshootingclub.com/wp-content/uploads/2019/02/ECSC-50th-20190101-300x169.png 0 0 SMCEditor http://eastcoastshootingclub.com/wp-content/uploads/2019/02/ECSC-50th-20190101-300x169.png SMCEditor2017-01-04 19:02:112017-01-04 19:02:11New Pistol Shooting Course Jan 22nd.